The NAPFM Event is organised by West Mercia Police on behalf of the UK Police Service. 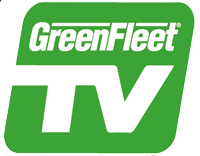 The rationale behind the original seminar for fleet engineers was to provide a cost effective opportunity to share information, good practice and seek ways of saving money; after four decades that principle has not changed. In fact the need to save money through collaboration has never been more important than it is today. The event has led to many developments that have resulted in closer collaboration between forces and organisations, as well as huge annual savings for the Police Service through the National Framework Agreements. The event remains an invite-only event for exhibitors, delegates and visitors to the exhibition. 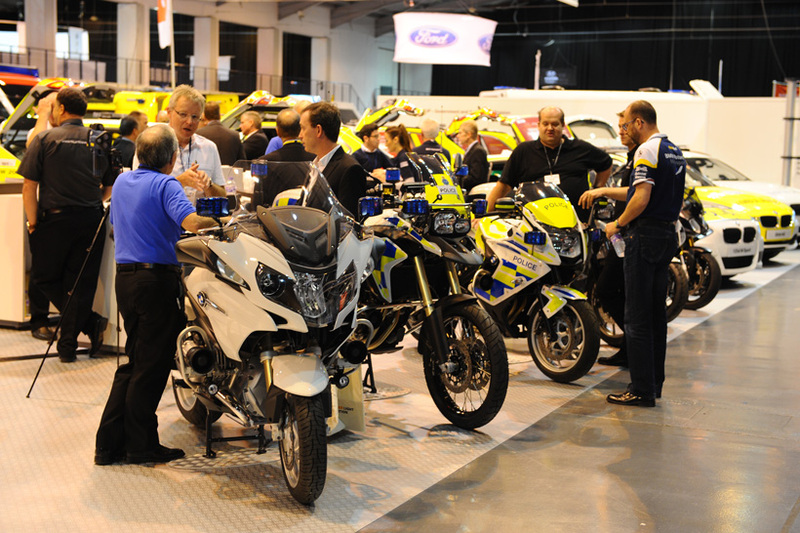 The event is widely recognised by the motor industry as one of the best police & emergency service transport shows in Europe. 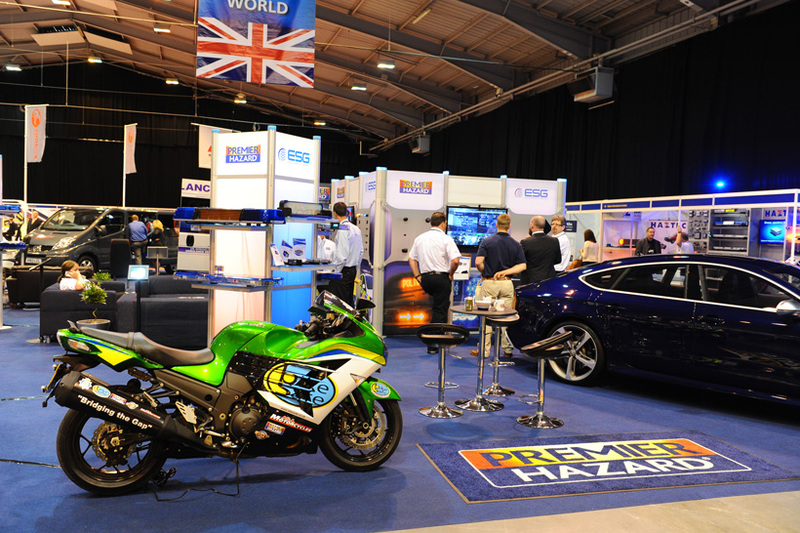 The event is used by manufacturers and suppliers to network not only with delegates and visitors but with other exhibitors to share ideas and opportunities. Many manufacturers ensure that their engineers attend the event to assess the needs of the British Emergency Service market. 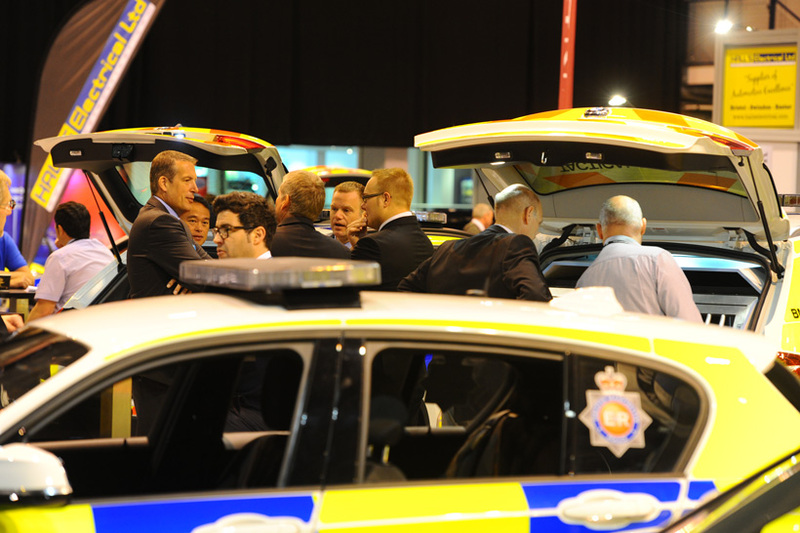 Over the years the delegate base has expanded from the original 12 Police fleet engineers in 1973 to include managers and staff from Police, Fire, Ambulance, Ministry of Defence and Government departments. The international delegate base continues to broaden; countries represented at the conference in recent years include Albania, Australia, Barbados, Bermuda, Cyprus, Finland, Gibraltar, Hong Kong, Ireland, Singapore, Sweden, Trinidad & Tobago, Uganda and the USA; many returning on an annual basis. The pan-government policy towards procurement within the public sector has brought about the change of exhibition name to The Emergency Fleet Exhibition. 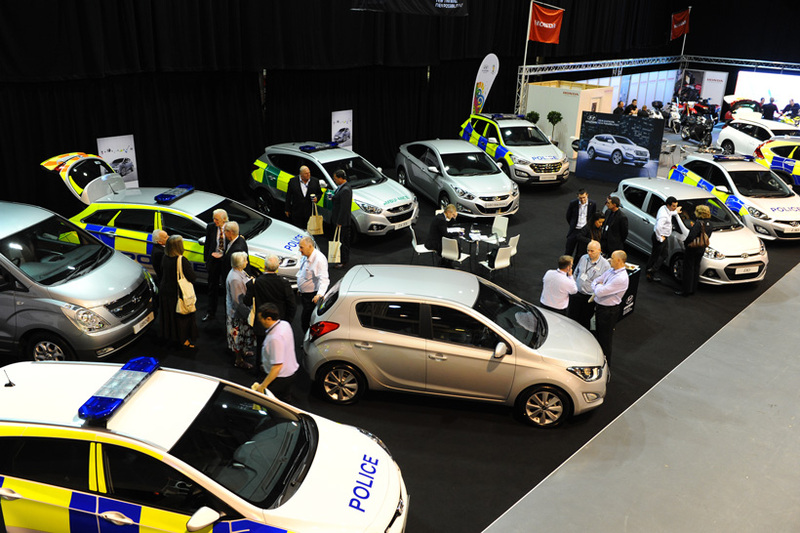 At the Earls Court Motor Show - a small group of Police officers and Fleet engineers, including Wiltshire’s Chief Superintendent of traffic and their fleet manager, happen to meet and the conversation turned to common problems. The Wiltshire Constabulary offered to host a Fleet Engineers Seminar. The seminar held annually at Devizes Police Headquarters. Speakers from the motor industry gradually introduced a small exhibition of the latest vehicles and equipment. Eventually, it grew to 5,000 m² at Police Headquarters – using car parks, garage, sports hall and sports field. Association of Chief Police Officers (ACPO) approved the setting up of the National Association of Police Fleet Managers (NAPFM) to provide professional advice and support to Chief Officers and the Police Service. The Wiltshire Constabulary handed over the chairmanship of the National Police Fleet Managers Conference to the NAPFM. The Association’s first Chairman was Dennis Hale, OBE, of the Metropolitan Police. NAPFM Event lost its accommodation at Police Headquarters and outgrew the site. The event found a new home for the next 7 years at Swindon - the conference and delegates based at the De Vere Hotel Swindon, and the exhibition at the Science Museum airfield at Wroughton near Swindon. The exhibition area increased to over 13,000 m² with over 350 vehicles on show. The framework contract for the purchase of vehicles was further developed to pave the way for the standardisation of police vehicles. The Science Museum decides that it cannot offer the event space for the exhibition and the event moved to Cheltenham Racecourse. The racecourse was to prove a good interim location whilst a search was made for an exhibition venue with good internal and external facilities. The NAPFM launched its own secure website allowing members to benchmark their own force vehicles and workshops against national standards and other forces. The website also allows forces to identify and share best practice and continues to be developed to this day. The collaboration between the Emergency Services had been increasing for a number of years. The Emergency Services share many of the same suppliers who exhibit at the NAPFM Event. A natural development was the introduction of an Ambulance Exhibition Area (Ambulex) organised by one of the exhibitors, although Ambulex has since set up their own exhibition. East of England Showground. Later the venue changed its name to Peterborough Arena. The next round of vehicle framework agreements was introduced, working towards the standardisation of vehicles nationally. Blue & Amber Light Fleet Exhibition. Following several events affected by wet weather, the NAPFM Conference and Blue & Amber Light Fleet Exhibition moved to the Telford International Centre. The new venue provided a wider range of conference facilities in addition to good indoor exhibition space. to The Emergency Fleet Exhibition. The event remained in Telford for the 5th year in 2017 and proved to be the most successful event to date. 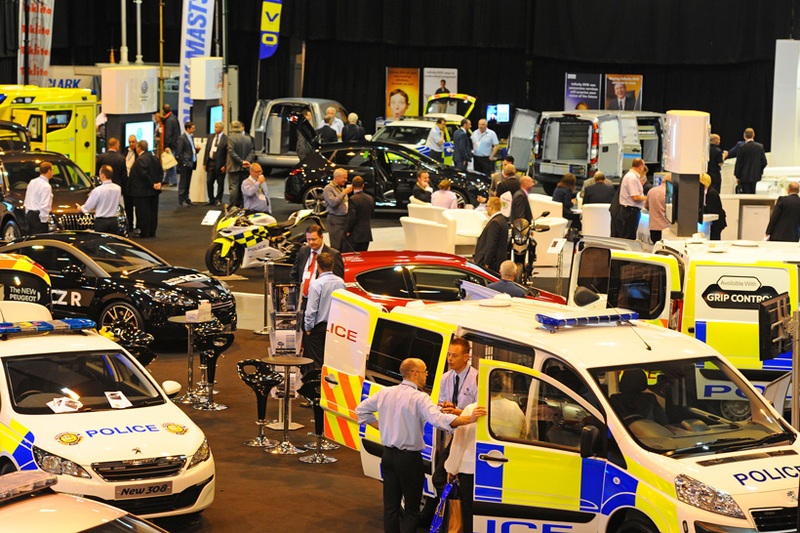 The 2018 exhibition promises to provide the most current display of "vehicles of the future" to date, with a greater attendance from Ambulance and Fire suppliers.